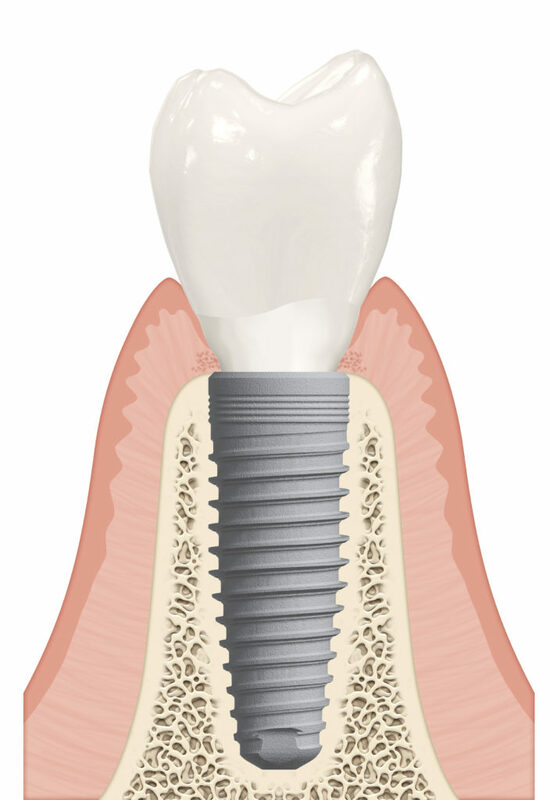 The implant itself is actually a titanium screw that performs all the functions of the root of the natural tooth it replaces. Once the implant is firmly and permanently attached to the bone in your jaw, it can be capped with a porcelain crown. 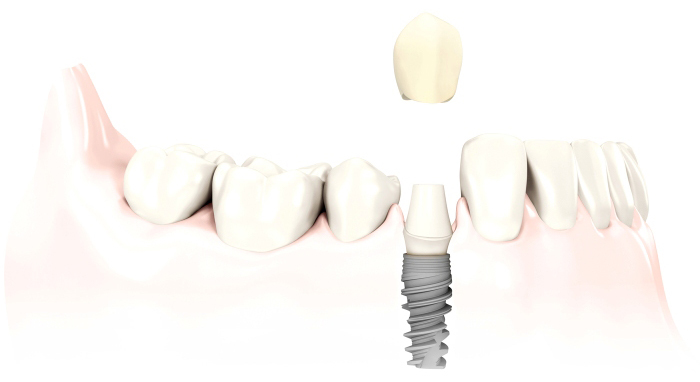 The combination of the implant under the gum, and crown above the gumline, creates a brand new tooth that looks and performs just like your natural tooth. What if I don’t have enough strong bone to support an implant? Sometimes there is not enough bone available to support a traditional dental implant. In this case, Dr. Thuernagle can use a technique called bone grafting to build up the bone in your jaw. After this graft has been given time to heal, the regular implant treatment can proceed. 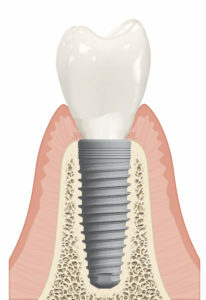 Most implant procedures involve three appointments over a few months. The implant is attached to the jaw in the first appointment, and then given a period of months to form a strong and permanent bond with the bone. On your next appointment, Dr. Thuernagle will evaluate the strength of the bond, and when successful, prepare impressions for the crown, bridge or denture. Typically, you’ll receive your permanent restoration on the second or third appointment.